The media called it «operation financial transparency». And it is. 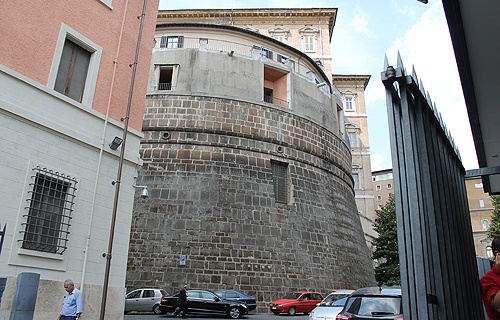 The work done within the Vatican Walls during the past few years was all intended to create a Vatican financial system to overcome the image of opacity and dubious dealings that – rightly or wrongly – was associated with Vatican financial matters. In fact, it is not only an «operation financial transparency». The path the Holy See started by signing a Monetary Convention with the European Union in 2009 is meant to reinforce the status of the Holy See/Vatican City State itself. Following a meandering and bumpy path, often not fully comprehended by the stakeholders themselves, the Holy See is going to present to Europe a whole new financial system. It is certainly compliant with international standards to counter money laundering and the financing of terrorism. But it is above all a customized system, tailored to the specificity of the Holy See. Ultimately, the Holy See/Vatican City State is a special state that lacks a market economy. It is a state needed to facilitate the Church to carry on its mission. With a motu proprio – a Papal directive – the Vatican financial system has been given a clear direction and a precise focus. The motu proprio is signed by Pope Francis. But it was under Benedict XVI that the Holy See started its commitment to adhere to international standards of financial transparency. Benedict XVI wanted to reinforce the status of the Holy See within the community of nations. He chose not establish an internal commission. That would have been a typically clerical recourse, sometimes used by his predecessors. He did not called outside experts to audit or counsel the Holy See regarding its transactions. Benedict XVI wanted instead the Holy See to submit to a peer review by MONEYVAL, a committee of the European Council that works at the level of states. The Holy See thus benefit from a «third party» evaluation regarding its path to financial transparency. An evaluation which is an integral part of a relation of equals among states. Here are the highlights of this recent Motu Proprio: Pope Francis established a «Committee for Financial Security,» formed by seven members who represent all the Vatican institutions involved in countering money laundering and the financing of terrorism. Pope Francis also charged the Authority for Financial Information with the «prudential supervision» of the Vatican bodies that professionally practice a financial activity. Finally, he extended the application of Vatican law on this area to the dicasteries of the Roman Curia, all the organizations and bodies linked to the Holy See, and all the non-profit organizations based in Vatican City State. The extension of Vatican law to all the Holy See institutions may be considered by now a standard operating procedure. 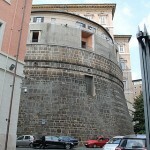 It was followed with respect to the new Vatican penal code, as well as with the 2010 Vatican law against money laundering. However, it is still noteworthy that this same procedure is at work with respect to the Holy See’s path toward a transparent and customized financial system. MONEYVAL issued a generally positive report on the Holy See/Vatican City State during its plenary session of July 2012, but there were nevertheless things to be improved. The Holy See is responding to Europe’s suggestions by creating a solid system of financial control. Let’s take a look at the members of the Committee for Financial Security: the president is the Secretariat of State Assessor for General Affairs, who is at the moment Peter Bryan Wells. The Secretary is the Director of the Authority for Financial Information, René Bruelhart. The other members are: the Undersecretary for Relations with States, Antoine Camilleri; the Secretary of the Prefecture for the Economic Affairs of the Holy See, Lucio Angel Vallejo Balda; the Deputy Secretary General of Vatican City State, Giorgio Corbelli; the Promoter of Justice of the Vatican City State Court, Nicola Picardi; and the Director of the Security Services of Vatican City State, Domenico Giani. The committee thus represents the Secretariat of State, the Vatican City State government, the Authority for Financial Information and the Vatican executive and judicial branches of government. Each of them can now coordinate better their efforts. The creation of the committee is the last part of a path started with the revision of the first anti-money laundering law. That revision brought about a new balance of power to better oversee the Vatican finances (in the first anti-money laundering law, everything was under the discretion of the Authority for Financial Information, and almost no role and weight was given to the Secretariat of State). The newly-appointed committee meets once every four months. The Motu Proprio calls for the Committee to evaluate the vulnerabilities that could be exploited for purposes of money laundering, financing of terrorism and the proliferation of weapons of mass destruction; define the measures needed to manage and reduce financial risks; coordinate the adoption and updating of policies and procedures to prevent and counter money laundering and the financing of terrorism and the proliferation of weapons of mass destruction; promote the cooperation and the exchange of information between the departments of the Holy See/ Vatican City State; ensure a proper evaluation of high risks; issue internal procedures and guidelines; ask for information to the authorities and the institutions which operate within the Holy See/Vatican City State; and to ask for reports and opinions of external experts. The introduction of the prudential supervision is also noteworthy. The lack of prudential supervision was criticized by MONEYVAL evaluators in July. Prudential supervision is a principle raised during the 80s and used for the first time by Basilea Committee. It is is based on the principle that a company that follows certain standards on capital investments and balance sheet ratios can diminish the financial risk of becoming insolvent. From now on, the Authority for Financial Information will be able to evaluate if an investment/financial operation by a Holy See institution is prudent, i.e. without a risk of leading to insolvency for the institution. The Holy See is, in this way, giving birth to its own and specific financial system. The “changes” will be discussed in the next plenary assembly of MONEYVAL in December. There, the Holy See will issue its progress report, which – by request of the Holy See – will be wider than what is generally foreseen under regular procedures. A comprehensive reform is in the offing.